Mindfulness—the practice of focusing on the here and now—seems to boost both your mood and overall well-being. You may think of mindfulness as something you do during meditation—that is, while you're sitting quietly with your eyes closed. If you can carve 20 minutes out of your day to meditate, that's great. But meditation is just one mindfulness technique. You can also practice informally, by simply being present in the moment during everyday activities. For example, instead of trying to multitask and do two or more things at the same time (such as eating while you're driving or watching television), try to practice "single-tasking." That means doing one thing at a time and giving it your full attention. As you floss your teeth, pet the dog, or eat an apple, slow down the process and be fully present as it unfolds and involves all of your senses. 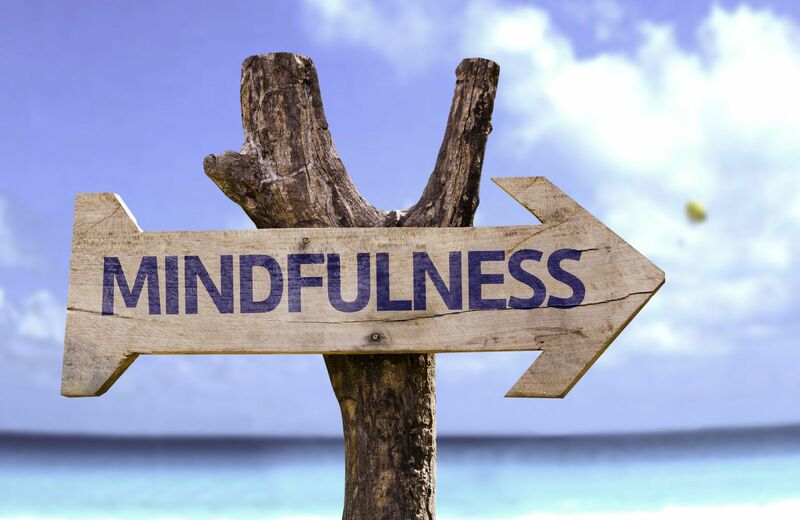 The goal of any mindfulness technique is to achieve a state of alert, focused relaxation by deliberately paying attention to thoughts and sensations without judgment. This can help you refocus on the present moment. Below are suggestions of different meditations you can try, as found in the Harvard Special Health Report Positive Psychology. Sit quietly and focus on your natural breathing or on a word or mantra (such as "om," "relax," or "peace") that you repeat silently. Allow thoughts to come and go without judgment and return to your focus on breath or mantra. Notice subtle body sensations such as an itch or tingling without judgment and let them pass. Notice each part of your body in succession from head to toe. Notice sights, sounds, smells, tastes, and touches. Name them "sight," "sound," "smell," "taste," or "touch" without judgment and let them go. Allow emotions to be present without judging them. Practice a steady and relaxed naming of emotions: "joy," "anger," "frustration." When you feel a craving or an urge (to eat excess food, use an addictive substance, or practice an unwanted behavior), acknowledge the urge and understand that it will pass. Notice how your body feels as the craving enters. Replace the wish for the craving to go away with the certain knowledge that it will subside. Your body needs a steady supply of fluid to make up for what's lost when you exhale, sweat, and urinate. Hydration is a day-long process. Water is the best replacement fluid. It has 100% of what you need — pure H2O — and no calories or additives.